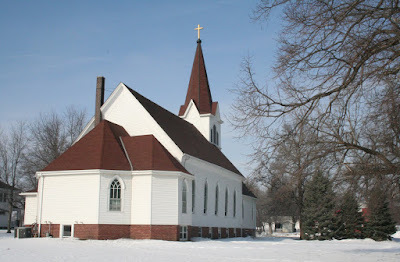 The Alma Lutheran Congregation of Mead, Nebraska was founded in 1870 by Swedish immigrants. 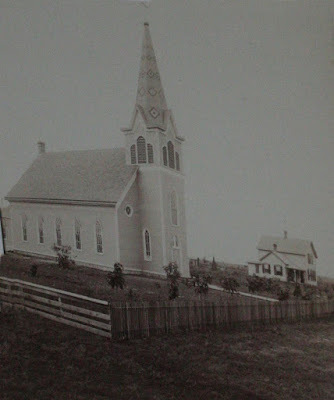 The first church and parsonage stood where the current Alma cemetery is located. The word "Alma" is Latin for "nourishing one" - which is generally used in a mothering sense. On Thanksgiving Day, 1919, $3,000 was placed in the offering plate specifically dedicated to remodeling the church. At a special meeting in January 1920, it was decided that the church would be lifted and a basement would be dug. While the church was standing on its wooden blocks on Easter morning, a terrible storm approached. The steeple swayed between 12-18 feet. There was great fear the building would fall, but "the Lord was with us," and everyone was relieved to see the building still standing after the worship service in Flodman Hall. The interior of Alma is painted in subdued colors with an interesting stencil pattern on the ceiling which runs the length of the church. 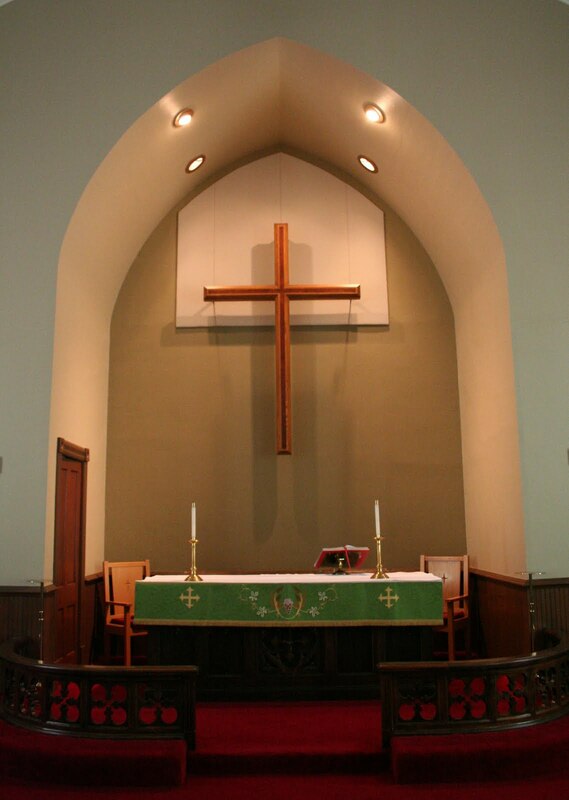 The church's website also notes that a pipe organ was installed in 1920, but unfortunately it has dissapeared. The church was again renovated in 1966, which likely resulted in the removal of the reredos and the addition of the large dossal curtain. The above photo depicts the interior as it appeared until 2009. 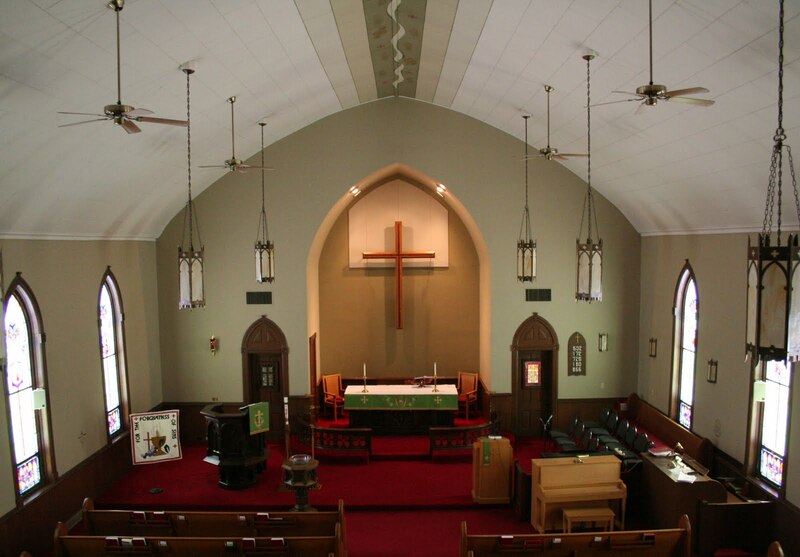 The sanctuary was renovated and entire church painted and refurbished in March of 2009 in celebration of the congregation's 140th anniversary. A closeup of the unique stencil pattern which runs the length of the ceiling. The sanctuary retains its original altar and altar rail. 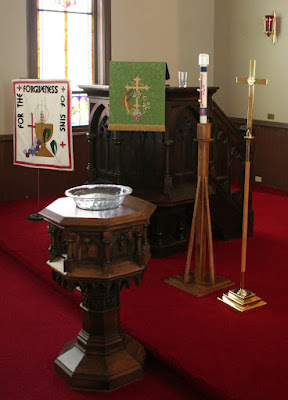 A view of the pulpit and font. The windows depict various scenes from the life of Christ. A statue of Jesus in the narthax. 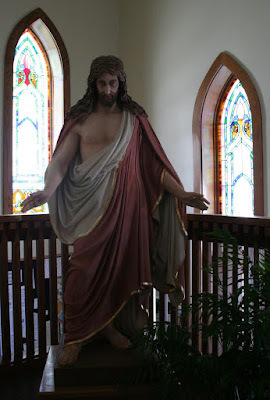 This statue likely resided in the original reredos. 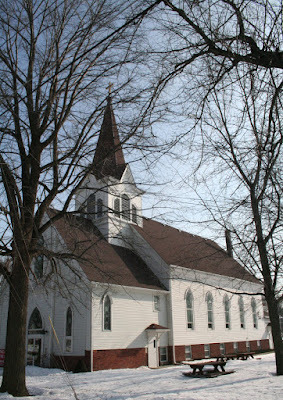 A more detailed history of the parish is available here and here.